There are already so many downsides to growing up in a big city. You can't roam around by yourself playing in the woods and catching frogs, your whole family is jammed in together in a small space, and you grow up to be too hip for your own good. Now we can add to that list that you're more likely to have food allergies. 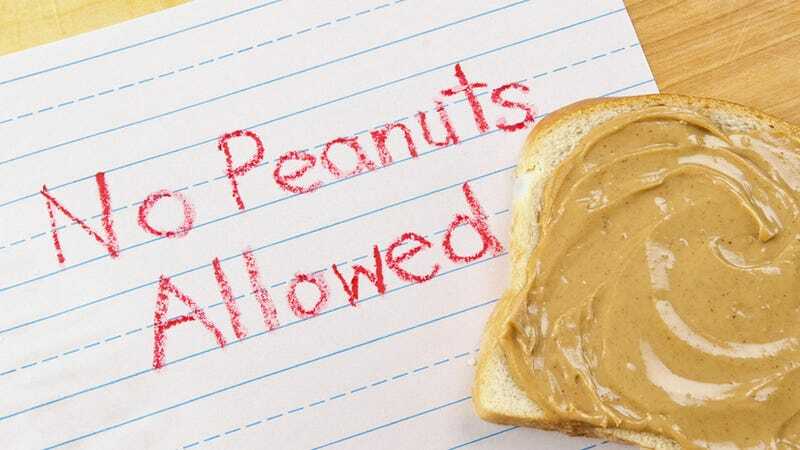 A new study, which was the first to map kids' food allergies, looked at 38,500 kids under 18 and found something surprising: in urban centers, nearly 9.8 percent of kids had food allergies. In rural communities, only 6.2 percent did. Interestingly, city kids were twice as likely to have peanut and shellfish allergies as rural kids were. It's not exactly clear why children in cities would be more prone to allergies. The study controlled for things like income, race, gender, and age, but it could have something to do with exposure to a certain environmental element. Or it could be a lack of exposure that's to blame. The so-called hygiene hypothesis holds that exposure to "dirt" (which includes bacteria, viruses and worms) forces young children's bodies to develop a healthy immune system. It follows that if you're not exposed to all the nastiness that the natural environment has to offer—which you might not be if you grew up in a concrete jungle and have parents who douse you in Purell—you'll be more likely to have a weak immune system that does things like have allergic reactions. One hopes that after further research they'll discover a way to fix food allergies all together, but let's keep our fingers crossed that it does not involve making city kids gnaw on the lawns of Central Park.